“Next Is the E” was released in the UK as I Feel It + Thousand. The female “oh yeah” sample in "Thousand" is sampled from First Choice - Let No Man Put Asunder (1983). A nearly frightingly layered track...filled with soul and ecstacy, at the same time confusion, and chaos...the way the original version sounds (the "Cool World" mix which is the edit of what appeared in the film of the same name, as well as which appeared on his debut album of the same year) as if Moby recorded this song on a random thought without taking much planning into it...the song with it's alarming samples and vocals...seems to capture Moby at his most spiritual, possibly celebrating the pleasures of dancing to loud aggressive music, and the ecstacy that comes from it rather than the drug itself...and with all that stripped away at the very end with the last few lines, ultimately an act/or cry of reaching to Heaven, or God himself...a very deep track, subliminaly spiritual in it's own right. 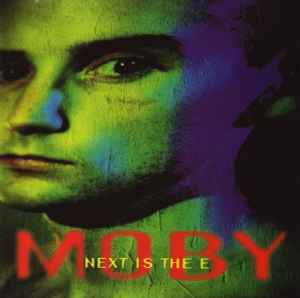 Of course, because of this...Moby was able to split the song into different sub-tracks (ie: I Feel It, Thousand)...To this date, I don't think anyone else has ever came close to pulling a track so far into a complex composition such as this. have a look in the guiness book of world records, and you will find "thousand" as the fastest track in history. Next Is The E was originally released as U.H.F. - U.H.F. both versions are very nice, i like the piano stuff.